Hacking refers to unauthorized intrusion into a network or a computer. A person engaged in hacking activities is called a hacker who is capable of altering system or security features in order to accomplish a goal that varies from the original purpose of the system. "Site Hacked" is not a new thing. The websites are usually prone to get hacked, and there are different steps that you must follow to eradicate such issues. Any website is a property of a company, single person, or multiple individuals. Generally, for a “site hacked” situation you should first resort to specialists to remove malware, viruses, and backdoors from your server and immediately get a website protection. Basically, after facing a hacking issue you should ensure to secure storage of information besides ensuring security of your website users. It is essential to bear in mind that in a successful hacking attack you get a malicious code to your website and also lose user database with all passwords and contact details. You notice strange traffic in your weblogs such as unexplained big spikes in traffic, particularly from other countries. Finding security vulnerability in a particular software that you happen to be using (especially outdated software). Stay calm. You can recover. If you don’t have the correct technical expertise on staff, your best option will be to call in a support team. At this point, you can seek help from the Comodo Cyber Security Operations Center (CSOC), which is staffed with certified security analysts to monitor, assess and defend websites, databases, data centers, applications, servers, desktops, networks and other endpoints for customers. The CSOC is capable of checking for threats, identifying and analyzing them and finally performing the required actions. Your weblogs: Both the access logs and error logs. Make sure that your hosting company provides the weblogs. A few hosting companies do not turn those on by default or may not provide access to them. Consider keeping all these details together in a safe location that you can access quickly. Comodo cWatch has a Cyber Security Centre, which works round-the-clock and monitors websites, provides help for website malware removal and deals with security incidents. You can use Comodo cWatch for website scanning in order to block all types of attacks and check for malware online. This includes SQL Injection, DDoS attacks, cross-site scripting etc. You can avail professional help from Comodo’s team of experts who available round the clock. 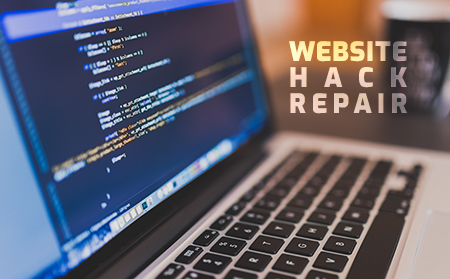 When your website is hacked, you should temporarily shut the site down while it is being evaluated and fixed. Your hosting control panel may have the potential to temporarily turn off your site. You may also have to password-protect the main directory where your website resides in order to block visitors from accessing your site while the team works on fixing it. Available with vulnerability scanning, malware scanning, and automatic virtual patching and hardening engines, the Comodo Web Application Firewall (WAF) is capable of providing robust security that is totally managed for customers as part of service offered by the Comodo cWatch Web solution.